Plastic and White Oak Rain Barrels, Composters, Recycling Containers, and much More! 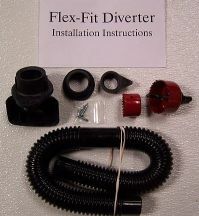 "A division of Midwest Internet Sales"
systems, water barrels and downspout diverter systems. 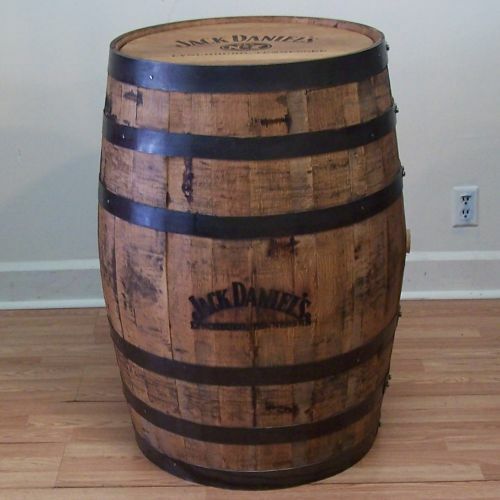 Whiskey barrels are 35"tall with a 23" diameter. The working pitcher pump is 16" tall. 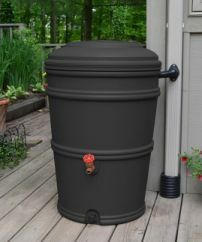 Both rain barrels are shown with an optional wrought iron stand (see the stand at the bottom of this page). or in the bottom connecting point on the rain barrel. 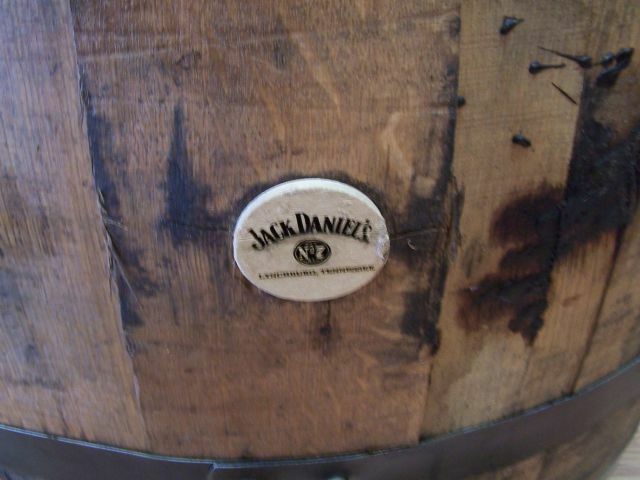 These Jack Daniels barrels are once used, and freshly emptied. FREE SHIPPING ON ALL BARREL PRODUCTS!!! 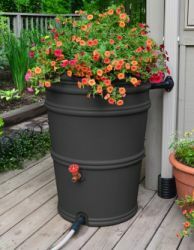 to see our Blemished Rain Barrel SALES going on now!!! These whiskey barrels are very old and quite possibly can not be hydrated enough to hold water or other liquids. Some of the barrels were used for bourbon and then used a second time for brandy. They should be considered for decorative purposes only. 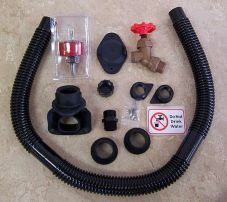 This rain barrel kit has everything you will need to build a complete leak proof rain barrel. It comes with five leak proof rubber grommets, five garden hose connectors, a plastic on/off spigot, a spade bit, hole cover with screen mesh to keep out mosquitoes, four self tapping screws, and five screw on cap seals, a total of twenty two pieces in all. All you will need is a plastic food grade barrel or a wood whiskey barrel, an electric drill, two pairs of pliers and 15 minutes time. white oak water gardens, and downspout diverter systems. of the "character" of the recycled barrels. can also be attached to one of these overflow connections. with the bottom drain plug if desired. For ORIGINAL Plastic barrel installation instructions click here! For CURRENT Plastic barrel installation instructions click here! 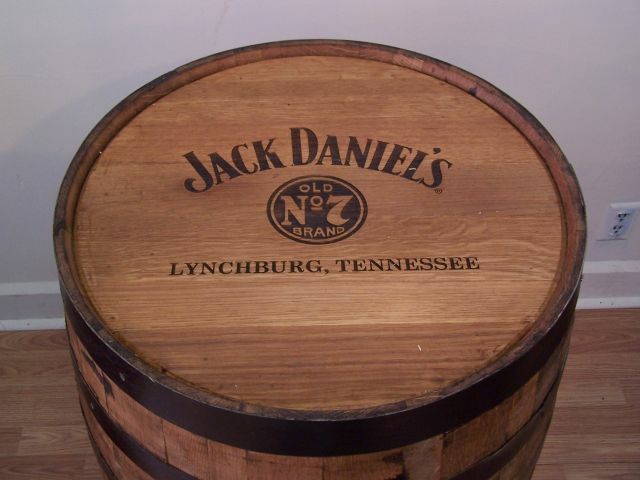 Our White Oak Barrels are made from used whiskey and wine barrels. and can even be used as planters for the decorative flower gardens to put in your lawn. a brass spigot, and a drain plug, and can also be linked together up to 3 barrels per barrel. to where it needs to go. Each barrel has a 53 gallon capacity. information with anyone for any reason!! !